Meeting the heating and cooling needs at home or at your business facility means providing timely, reliable services designed to meet the demands of property owners in our local area. We’ll work with you to understand your needs and help you choose the best options for products and services. We offer 24-hour air conditioning & heating repair! At some point in time, most home and business owners will be faced with an HVAC system repair issue or breakdown. If your system isn’t performing as well as it used to or has stopped working altogether, you need to call a heating and air conditioning repair specialist who can quickly identify and address your system’s problem. If your home or business is hard to keep at a comfortable temperature in the winter months it is time for a custom home insulation solution from Logan Home Energy Services. We offer many different insulation services including ridge foam insulation, cellulose insulation, full-service garage & attic insulation, and much more! Our sister company, Avery Heating & Air Conditioning services Greater Boone, NC and surrounding areas. In order to best provide for your needs, we hire only technicians who hold North American Technician Excellence (NATE) certifications. NATE-certified technicians have completed rigorous training and testing in third-party facilities in order to earn this certification. 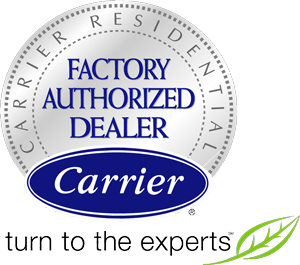 We’ve completed extensive training and undergo regular evaluations to retain our status as a Factory Authorized Dealer. At Logan Home Energy Services, nothing matters more to us than your comfort. We’re proud to provide a wide range of heating and air conditioning services to residential and commercial customers throughout the greater Triad area. We are a locally owned and operated air conditioning company. We've earned our excellent reputation and hope to show you why. Ductless and forced, central air heating and cooling systems. Electric air conditioners and heaters. One of the best ways to protect the value of your HVAC system, increase efficiency, and extend its operating life is to choose regular maintenance. We are proud to offer Maintenance Service Plans to help you save on regular services. We recommend maintenance at least twice a year.